An ETF is a great way to gain instant diversification in a portfolio and to get exposure to a certain asset class or ‘theme’ with little work and low costs. While it is certainly a great solution, investors often seem to subconsciously overlook the fact that an ETF represents a basket of stocks, as opposed to a single security. This is understandable considering that an ETF ‘looks’ like a single stock when it sits in a portfolio but the reality is that it is more like holding 50 to 500 individual securities, wrapped up nicely in a single holding for the sake of convenience. So the question becomes: why do we see so many portfolios holding ETFs with weights below 5% of the total portfolio? 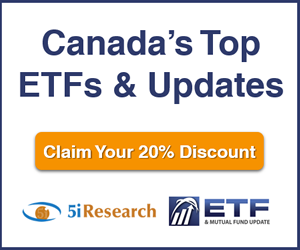 Looking at the iShares S&P TSX 60 (XIU) ETF, we can illustrate the futility in holding diversified ETFs in low weightings. It is important to keep in mind that the TSX 60 is one of the more concentrated broad-based equity ETFs, and that the more holdings in an ETF, the more pointless a low weighting in the ETF becomes. Figures 1, 2 and 3 illustrate three different portfolios of $100,000, $250,000 and $500,000 respectively. The portfolio sizes are fairly arbitrary but are likely a good representation of the majority of the population and prove the point regardless. The top row of percentages range from 1% to 5% and represent the weight of the ETF (XIU) in the whole portfolio (1% weight means XIU amounts to $1,000 in the $100,000 portfolio). In the leftmost columns, ‘% per holding’ is the average weight of each security within the ETF, relative to the total portfolio amount. ‘% of largest holding’ refers to the highest weighted holding in the ETF (RBC at 7.92% at the time of analysis) and the percentage of the total portfolio it represents. The final four rows show the effect a 10% move in either the top security or the total ETF would have on the whole portfolio, shown as a percentage and dollar value. Looking at the percentage changes first (since they are the same under each scenario), the futility behind a low weighting quickly becomes apparent. None of the holdings within the ETF amount to anything near material and this is using a more concentrated ETF. Imagine if the analysis was based on the S&P 500! 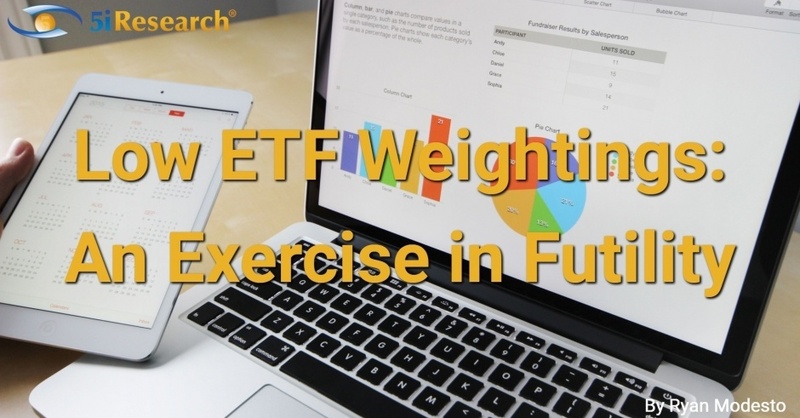 Looking at the weighting of the largest holding, the same conclusion can be made, and again, a weight of 8% would be fairly high for most broad-based equity ETFs, only helping to show how immaterial of an impact low weighted ETFs have on an investor’s total portfolio. Moving on to the effect of a 10% move in the top holding, there are two issues that should be pointed out. The first is that a 10% move would be a lower probability outcome in any given year. Secondly, the odds of the 10% return being on the highest weighted holding within the ETF are also low, making this actual outcome fairly rare on a year-over-year basis. Interestingly, the above two caveats really do not matter because even if a 10% return in the top holding occurred, the effect on the return of the total portfolio would be negligible and it would not even be enough to cover the fees of the ETF in most cases. Lastly, we will examine the impact of a 10% move of the whole ETF, which is essentially a 10% move in the overall market. Again, there are a few caveats that need to be stated. While market returns have been great as of late, a 10% return in a market is above average and far from the norm. So we are once again using a best case, low probability type of scenario with this illustration. This is essentially where I feel a 5% minimum weight for an ETF looks like a good starting rule of thumb. Anything below a 5% weight has a questionable impact on the whole portfolio but as we approach 5%, a 10% return generates a half-percentage return on the total portfolio which is still pretty measly considering how strong the market would have been, but is getting to the point where it will have a noticeable effect on your financial situation. In summary, this example presents a best case scenario from a return point of view and still (in my opinion) clearly illustrates how futile and pointless low-weighted ETFs are in an investor’s portfolio simply because, even after a strong return in any given year, an investors financial situation is in no better shape from holding the fund. 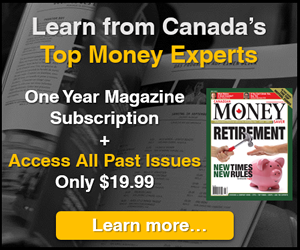 Making that extra $80 on a $250,000 portfolio is not going to bring the individual any closer to retirement and we shouldn’t forget that this does not even account for fees! So why is this a problem? Why do we often see portfolios with 10 or more ETFs? I think most would agree, the more ETFs you hold, the closer to a total market return you are going to get, in which case, you may as well just hold a total market ETF. There are likely two different categories that this problem can be divided into. The first involves professionally managed portfolios while the second refers to individuals or do-it-yourself (DIY) portfolios. I think in the high majority of cases, professionals who are being paid to manage a portfolio on another’s behalf should know better than to let this issue occur. For the record, I believe this trend is more the exception than the rule but when it occurs it is an issue that deserves close scrutiny and an explanation that goes beyond ‘the benefits of diversification’ should be provided. It almost seems like a ‘client-retention’ hedge. For instance, while having that 2.5% Emerging Market ETF position has little to no effect on an investor’s overall wealth, it still makes a great talking point for the value of diversification and if the Emerging Markets took off over the year, the advisor would still get a pat on the back for holding the fund, even if it was in an insignificant amount. In my view, if you are only willing/confident enough to hold a 2.5% position in a fund, why bother holding it at all? Obviously the prospects are not that great in the professional’s eyes and maybe that amount is better off being allocated to an area the advisor has more confidence in. While understanding the importance of diversification, professionals are still paid to have confidence in their investments and do more than simply shadow a market ETF. Small positions in funds seem to indicate a lack of confidence in the investment decisions being made. One would expect to see this in a DIY portfolio for two reasons: Lack of confidence and fear of having too large of a position in a fund. To address a lack of confidence in a holding, I would ask why it is being held at all. A small weight in an individual stock is understandable but if an investor is so uncomfortable with the prospects of an entire market or asset class that they are only willing to enter a small position, why even bother putting the capital at risk? Instead, the capital might be of more use to improve diversification in other areas or to be added to a position that the investor is really confident in. Again, being diversified is important but maybe that small amount is better off being allocated toward a diversifier you are comfortable with, as opposed to one that an investor is only willing to take a tiny position in. The second issue is an interesting one that seems to be more of a psychological gap that needs to be overcome. This is the (understandable) fear of holding too large of a position in any one security. When referring to single stocks, a 5% position can be tough to bear depending on the volatility; in many cases it could be too high of an allocation. In the case of a fund or ETF, however, the investor is actually holding 50 to 100 individual securities with that single holding. This amounts to fractions of a percent of stocks versus the more bold-looking 5% position that is seen on the portfolio statement. If investors are able to overcome this psychological hurdle, a big step toward solving the issue of over-diversification can be taken. It is worth pointing out that this analysis generally refers to broad market funds with good liquidity and large size. A small weight in a fund with only 10 holdings makes a little more sense but I would suggest reading a past article titled 'Match the Markets, Beat the Fees' if one is holding funds with a low number of individual holdings. Also, this is not referring to those very niche funds that an investor wants exposure to, as they are likely to have low liquidity, a lower amount of holdings and consist of assets that are difficult to gain access to on one’s own. Finally, this is by no means meant to be construed as an argument against diversification. It actually assumes a diversified portfolio but questions the added value of a tiny fund weighting within that diversified portfolio and whether it could add more value in another area. While having exposure to various assets is important, thought needs to be given into what proportion of the asset should be held relative to the whole portfolio. If a significant and low probability return on a fund has little effect on an individual’s retirement picture, there may be little point in holding it and exposing the investor to the risk. Even when a fund with a low weight sees a great return in any given year the question would quickly become ‘So what, and why do we only hold 2% of fund X?’. I think there would be no easy answer to this question simply because much like the Borg (full disclosure: I am not a ‘Trekkie’) where resistance is futile; when portfolios hold low-weighted funds, the investment is futile. Have you tried Portfolio Analytics? 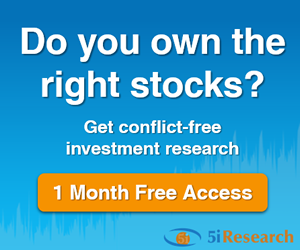 Instantly learn whether you're making any critical mistake in your portfolio. How do you know you’re not limiting your investment returns because you overlooked something or if your portfolio isn’t set up properly? With Portfolio Analytics, we’ll instantly analyze your existing portfolio and inform you of any dangers and opportunities that we see. Learn more here.